Our Vision: Friendly Staff. Excellent Service. Beautiful Smiles. At Maurer Family Dental, it is our intention to make sure that you, the patient, always come first. We believe that you and your family deserve a dentist that will take the time to get to know you, treat you with respect, and always do the right thing for your health and wellness. We treat your family like our family. We also believe that patients should have sufficient information to make educated decisions about their oral health, treatment options and choice of dentist in Springfield. You’ll find all of this important information on our website, including directions to our office, service descriptions, patient education resources and more. 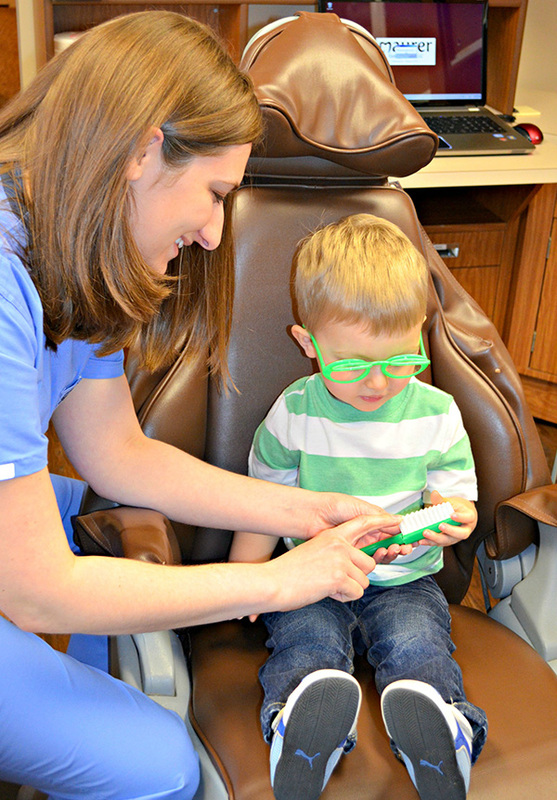 As a family-centered dental practice, our goal is to serve a wide array of patients with a full range of services. We provide treatment ranging from the evaluation of early tooth development to the fabrication and upkeep of dentures. With a focus on preventative and comprehensive care, the cornerstone of our practice is the balance between oral hygiene education, regular maintenance, and treating the entire patient. Frequently asked questions: what is the difference between an amalgam and a tooth-colored filling? What can I expect after my filling? "All of you are so very kind, compassionate & capable. You have made a wonderful, lasting impact on my life in many ways." "Thank you so much for making finding a new dentist so pleasurable! I really appreciate your kindness and professionalism!"